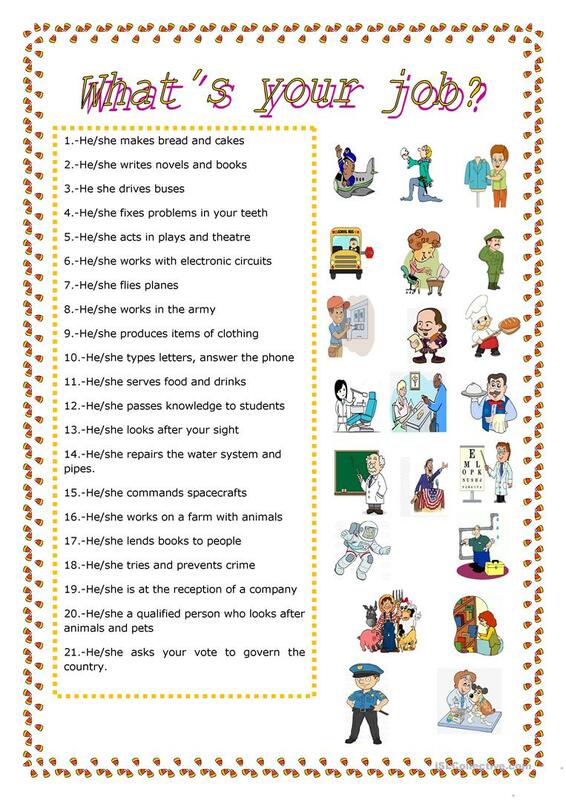 In this sheet jobs are described and your pupils have to write the name of the occupations and match to the pictures. Hope they know most of these Jobs. Thanks. The above downloadable printable is a great resource for elementary school students at Elementary (A1) level. It was designed for strengthening your pupils' Writing skills. It is about the vocabulary topic of Jobs, work.